Ethical gift ideas for wildlife lovers this Christmas. Happy shopping and thanks for buying gifts that give back! If you have any other suggestions for great ethical gifts for wildlife and nature lovers, please get in touch and I’ll add them to the page. Give a hog a home: I recommend a sturdy wooden house to give the best protection against the elements and predators. I love these from local East Yorkshire makers (many include a donation to hedgehog rescue and can be posted) Gardenwood Creations. Many wildlife rescues run their own ‘adopt a hedgehog’ schemes. Google for details. You can also adopt a hedgehog via the Wildlife Trusts. 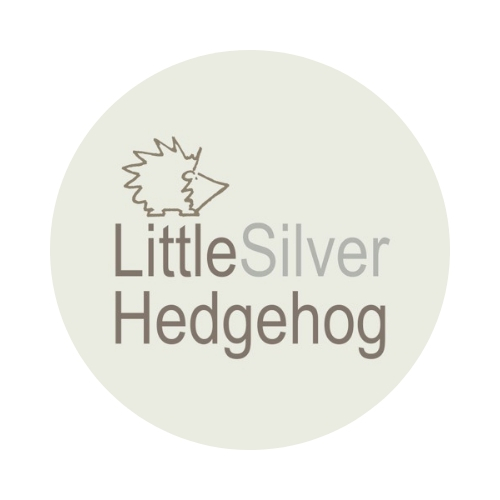 If you’ve read my blog about what it’s like running a hedgehog hospital and are inspired to have a go yourself, check out this course by Hessilhead Wildlife. The following companies offer some fabulous products – from tea towels to ceramic mugs. Anything you can do to help insects will ultimately help hedgehogs and other wildlife. I love these tins from Seedball – simply throw them on your garden and they will create a beautiful butterfly border or meadow. I run a hedgehog hospital in York. My work is entirely self funded. You can read more about me here and also all the ways to support my work.